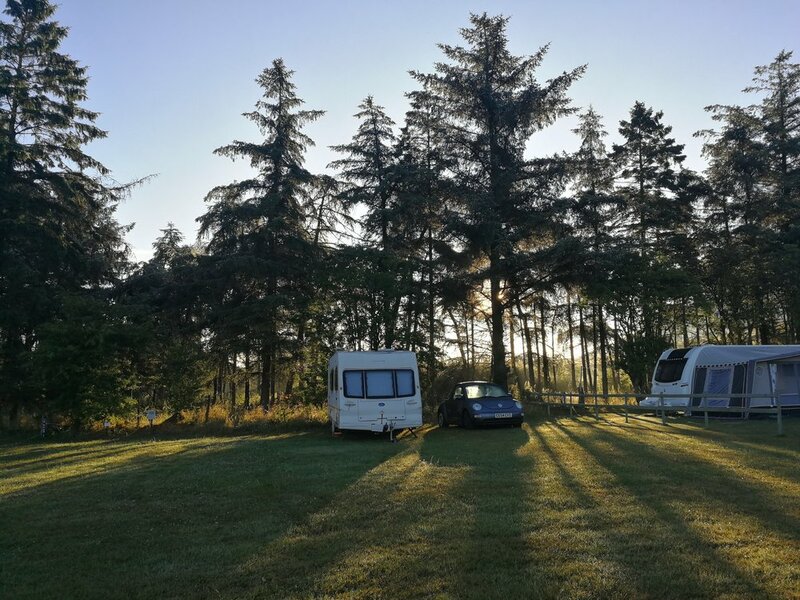 A beautiful, relaxed, family-run campsite for tents, campervans, caravans, motorhomes and everything in between set in the heart of the Welsh countryside. We love camping. The idea of being out in wide open countryside together, under the stars. The adventures, the napping, spending time catching up with friends around a fire are all things that we treasure here. 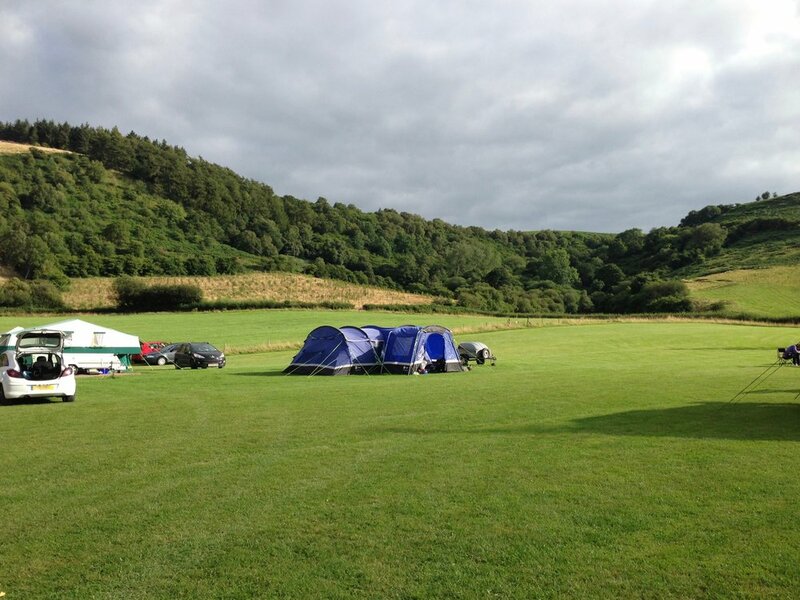 We have mixed all weather, hard-standing and grass pitches that are all mostly level. 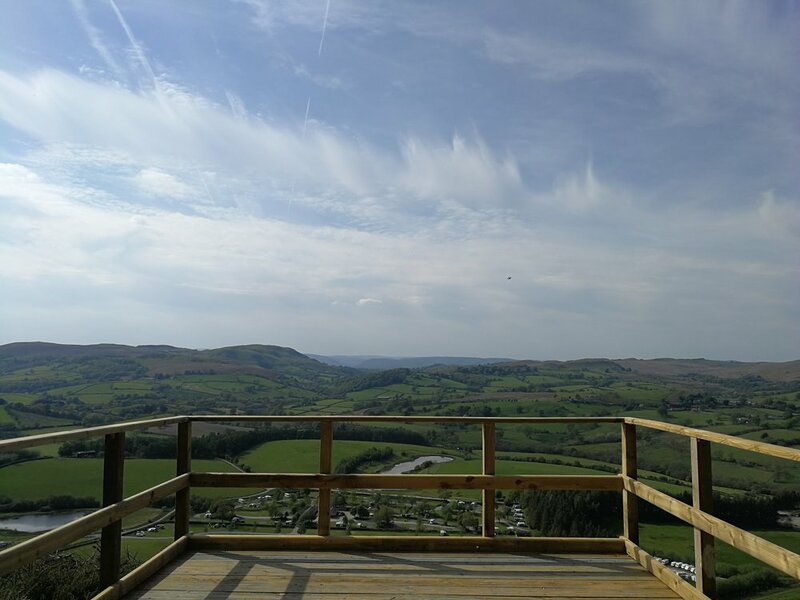 There is a choice between a large open field with spectacular views or more landscaped pitches near streams and hedges. We help you find the perfect pitch for you when you arrive. There are plenty of electric hook ups available. 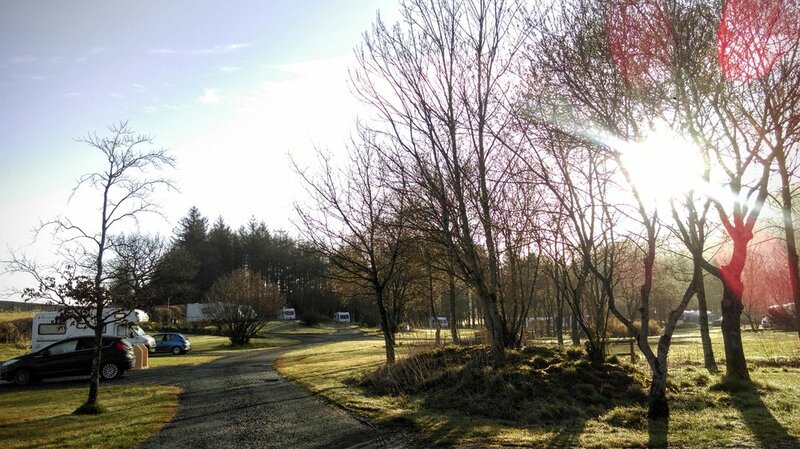 The campsite sits in the middle of our large family farm and you are welcome to explore it to your heart’s content! 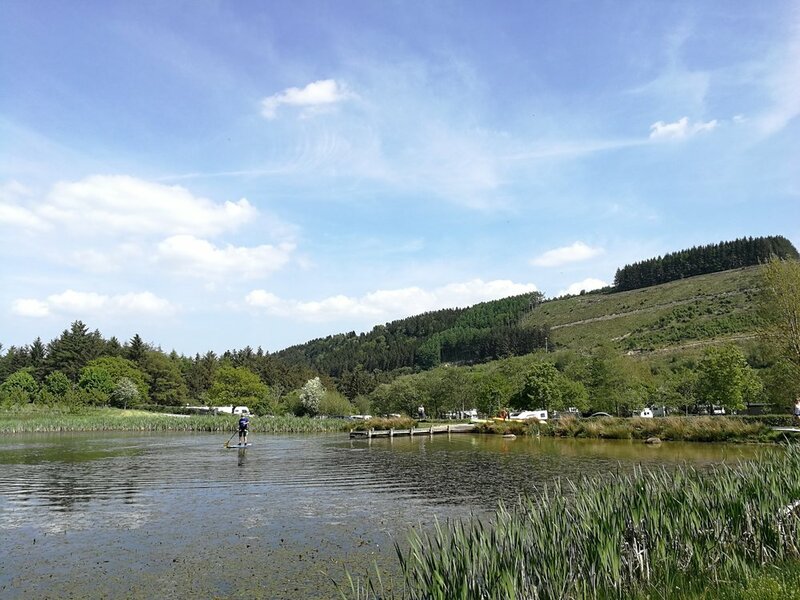 There are tracks through the woods, two lakes and access to open moorland of The Aberedw Hill. There are so many areas to explore for all ages. 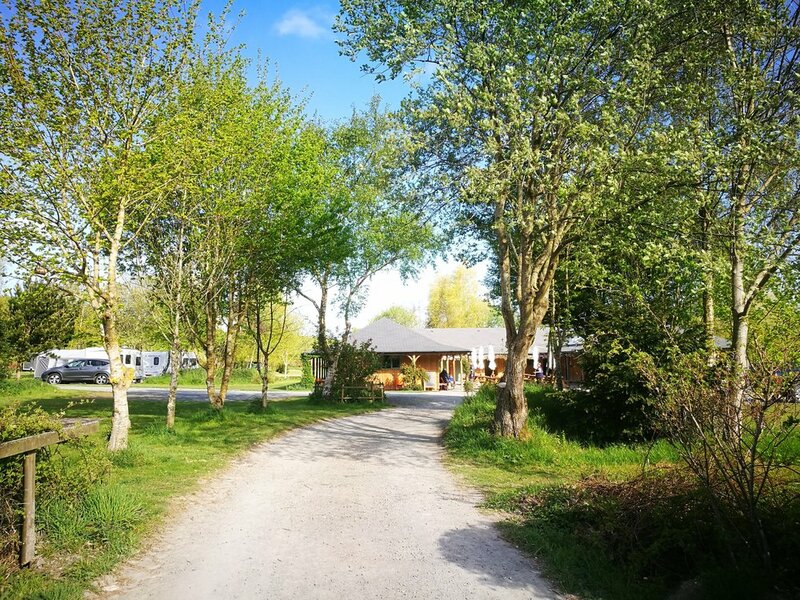 We are a very dog-friendly campsite – you are welcome to bring your well-behaved dogs and they can explore the farm and local area. We generally say no more than two dogs per pitch, but do get in touch if you’d like to bring more – it often depends on the time of year. 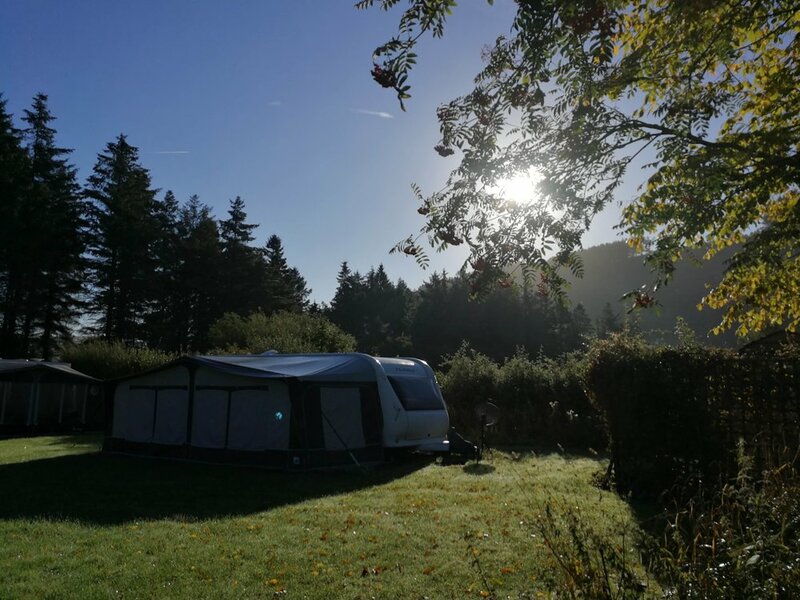 Dogs, gazebos, pup tents, extra car, hot showers, use of kayaks, large pitches, lazy departures or access to the farm, woodlands and lakes.